Out of Gauge: Our expert team has the experience and tools to transport your most challenging cargo, even when it’s too large to fit. 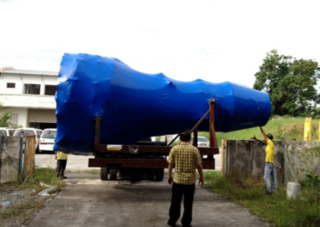 Break Bulk: We are experienced with an efficient and cost-effective break bulk shipping method. Flat Racks & Open Tops: When necessary, we will load your cargo into flat rack or open top containers. Rigging: Heavy equipment projects sometimes require cranes or pulley systems to lift the cargo, APS can source the equipment necessary to safely raise and lower large items from one surface to another.